The Mamelodi Sundowns coach wanted to win Saturday’s Caf Champions League Group C match against Wydad Casablanca, but the Brazilians were held to a 1-1 draw. Pitso Mosimane said victory over the defending champions would have disrupted the Moroccans’ campaign in their domestic league, the Botola Pro, where they are currently fifth, needing to finish in the top two to qualify for next season’s Champions League. “What really mattered for me was a win because I knew that if we had won, they have three league games in 10 days and a Champions League match inside there. So you put pressure and you stress them. They get injuries and yellow cards. “They are sitting at No.5 and they might not be part of the Champions League next season but they have a team that is capable of playing in the Champions League. It is the story of the Champions League when you come from games in hand,” he added. Sundowns have finished in the top two in the Absa Premiership in the last four seasons – a feat only Esperance of Tunisa, Egypt’s Al Ahly have managed. “Not many teams will be able to be No.1 or No.2 for four years in a row. It is only Sundowns, Esperance and Al Ahly. That is why they (Wydad) are struggling and suffering… it is that situation. I knew that had we won we were going to put pressure on them to win the next match. 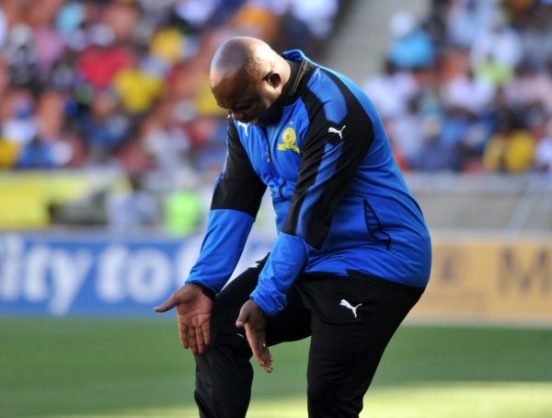 They have got back-to-back matches and they have to try and qualify for the Champions League, it would’ve really put so much pressure,” said Mosimane.